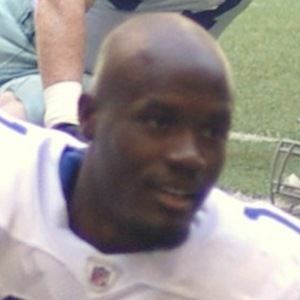 Retired NFL wide receiver best known for his years with the Detroit Lions and Dallas Cowboys. He made his only Pro Bowl and led the league in receiving yards in 2006 as a member of the Lions. In addition to football, he was an all-state track star and an all-district baseball and basketball player in high school. He was named MVP of the Cotton Bowl Classic while playing for the University of Texas Longhorns in 2003. His brother, Lloyd Hill, played wide receiver for the Chicago Bears. He caught passes from Lions quarterback Jon Kitna during his stellar 2006 season.